Engel’s 30 oz, stainless steel, vacuum-insulated performance mugs are built to keep your cool in the harshest conditions. 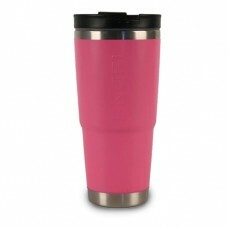 Taking advantage of the latest vacuum technology, these cups perform up to 6% better than any competitor on the market. Whether you’re bringing a hot or cold drink along for the ride, the Engel “Ketch-It” lid will ensure you enjoy your drink, not wear it. The liquid-tight seal keeps your drinks in the cup when the boat bounces, the truck swerves…or you just happen to execute a perfect-form elbow-sweep and take that cup from vertical to horizontal in the blink of an eye. AND…that you can shake up that drink that requires…a little shakin'! This cup will be your best friend for all of life’s thirst-quenching moments.